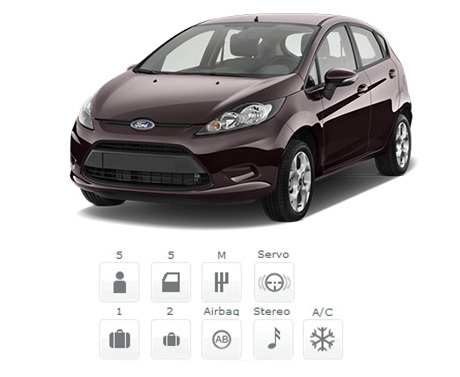 Anytime you need to rent a car for an affordable amount of money, Ford Fiesta is the best choice, being a car that can be yours for only 20 €/day – this price includes all the necessary taxes, full CASCO and full fuel. FocusRent provides car rental services with no kilometers limit because our purpose is to make you feel really confident with your choice. FocusRent, car rental service in Bucharest and Otopeni, offers you a very chic car, with no labels attached, that can barely wait to take you wherever you want. Ford Fiesta is a car that allows you to drive how many kilometers you do want, without being necessary to search too often a gas station in your way. Is a new model (because you have to know that we don’t have more that 5 years older cars) and it has a manual gearbox that allows you to drive aggressive or elegant. Being available through our rent a car service, this Ford Focus model has a great stereo audio system that will be following you on your travels and a trunk ready to “shelter” an impressive number of baggage. Ford Fiesta is a car with a strong engine comparing with other cars from this category, having an above average ground clearance. It uses only 5.5 l/100km and comes with a speed regulator, parking assistance, centralizes closing, airbags, and stereo audio system. For an additional taste of comfort, Ford Fiesta can have an optional Media Nav (navigation system), radio/CD and also USB holes and Jack. Another advantage of this car is represented by the Eco Mode and GSI functions, which can decrease the quantity of fuel. Anytime you need a rent a car (car rental) service, one of our calling assistances will provide you more information and record your reservation. Your benefit is that the car is immediately and for free delivered in Bucharest. You can now choose FocusRent’s car rental service for a Ford Fiesta car, offering you the comfort you deserve to fulfill your dreams no matter the season. Does it sound interesting? You can call us anytime in order to rent a car to 073.505.7777.